Feb 20, 2015, Emirates has hosted a successful Computer Voice Stress Analysis (CVSA) Course for the Group Security professionals in the area of investigation, fraud prevention and Airport Security. Continuing its drive to establish Dubai as a center for aviation security training in the Middle East; this course was organized by the Centre of Aviation and Security Studies (CASS) in collaboration with National Institute for Truth Verification (NITV) run by Emirates’ Group Security department. 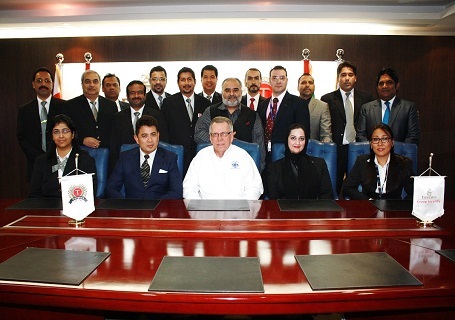 Sixteen candidates from Emirates Group Security have attended the five-day course on CVSA interpretation. The CVSA records, quantifies and analyses frequency changes in the human voice. During the CVSA examination process, the instrument identifies vocal stress related to specific issues under investigation. It has been established that consequence-based stress can be detected in the human voice using the CVSA, which can be directly correlated to truth and deception.